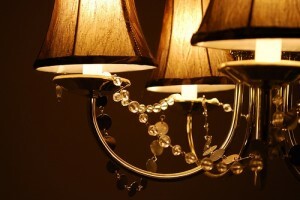 Custom lighting in your home will significantly raise the property value of your home. If it’s done tastefully, which is something that your professional electric providers are fully capable of doing for you, you can raise the value of your home exponentially over time. If you are a homeowner with the intention to sell, or the possibility of selling your home in the future, you will most notably want to install custom lighting. For realtors and buyers, your home looks much better with custom features in it. With the improvements that Light-It-Up Electric can offer to your lighting system, you won’t have to worry about appealing to your buyers again when it comes to your lights. Many homes come with light fixtures that put strain and pressure on your eyes. Many times, putting all those lights to the off position and setting up some lamps can be a more comfortable solution. Cosmetically speaking, custom lighting can be created based upon the needs of the room, which opens up new possibilities for comfort, relaxation, and work ethic alike. There are an endless possibility to the number of options available to you through reputable custom lighting companies. With the power of the professionals behind you, you can do anything you’ve ever dreamed with your home improvement plan. From the many people that will want to be at your house for the get-together, to the raising of the property value provided through custom lighting; there is no denying that a custom lighting fixture will be an investment that will continue paying off for years to come. Don’t hesitate to invest into your home, and your life. Better yourself and your property and let us help you create something you can be proud of for years to come.